CPAC is supposed to be the paragon annual meeting of Conservative voices. Perhaps no longer a paragon and now merely a voice of approved-only Conservative voices. Laura Loomer experienced CPAC censorship and Michelle Malkin calls wishy-washy (perhaps RINO or Establishment – you decide) Conservatives that meet CPAC approval. Why did CPAC ban a conservative journalist from watching President Trump speak while allowing “Fake News CNN” and radical Left wing SPLC & Soros tied “Right Wing Watch” to keep their press credentials? I thought CNN was Fake News? And then there is Michelle Malkin having the cajones to call out Never-Trumper Conservatives on the CPAC podium. I wonder if she gets an invite in 2020? Conservative commentator Michelle Malkin attacked the “ghost of John McCain” during a speech at the Conservative Political Action Conference on Friday. She pointed upward while directing her fury at McCain’s ghost, at which point several people in the crowd gave Malkin a standing ovation. McCain, a longtime senator from Arizona and the Republican Party’s 2008 nominee for president, died last year from brain cancer. 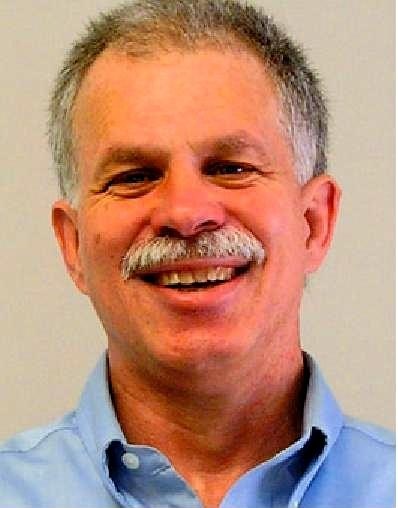 He was a frequent critic of the Trump administration. Below is The Conservative Tree House/The Last Refuge post that has the entire transcript of Michelle Malkin’s speech. The Conservative Tree House may be called a Last Refuge for each of us for different reasons. Whatever trail through the woods brought us here, we have shared the turmoil of storms as we have been finding our voices as individuals in this growing community. Perhaps you’ve had some truly shockingly cruel things said to you purely because you believe in limited government and fiscal conservatism. Perhaps you not only believe that we should be self-reliant and personally responsible, but also believe that when we are allowed to depend on ourselves, we are stronger, more successful, take greater pride in ourselves and our work, and are more likely to make positive contributions to society. And then we are happier people, or at least more likely to be happier. Which lends to the following theory: Fear is at the core of liberalism, and love/trust is at the core of conservatism. Liberalism is about control. Conservatism is about self-empowerment. Justin Smith tackles the existence of political gridlock in America today, blaming it on the irreconcilable differences between the Dems and GOP. Justin quite correctly points to the gridlock as the Dems have lurched toward Marxism sanitized under the term – Democratic Socialism. Just like the Dems like to call themselves Progressives to disguise their current Marxist agenda, telling Americans that a Democratic Socialist is a Socialism for the people. Spoiler alert: Justin believes (and I agree) that the Two-Party system as it exists today makes America ungovernable. When America is ungovernable, what will it lead to? Communism has long infiltrated our nation and both parties [Dems], from its spawning in 1848, and it seeks our subjugation and the end of individual liberty. Where is the “Us” worthy of support? Where is the “Them” that should be annihilated? Well … for starters we definitely can say it is those illiberal and intolerant Communists, Socialists, Fascists and Muslims within our borders, who should be annihilated; since they have just about forced our nation to Her knees as they repeatedly and often attack our Founding Judeo-Christian Principles, Our Constitution and Our Freedoms and Liberties and God-given Rights. Source links and text embraced by brackets are by the /editor. This essay by Justin Smith could easily criticized as a White Supremacy racist message. IT IS NOT! Justin is criticizing foreigners desiring to live in America illegally and/or without intention to assimilate to American culture are an unwelcome burden on the American taxpayer (i.e. Red, Yellow, Black and White) and an assault on the Liberty and Values built on the pedestal of American Founding Fathers. If you are a person refusing assimilation or an un-American Marxist in all that ideology’s political deceptions, get over yourself. America is currently witnessing the harsh reality of a Democratic Party intent on gaining power by any means necessary and so enraged by the election of President Trump, that they will not even acknowledge America and her patriots have a right to determine who and how many enter our nation, under any set of circumstances. 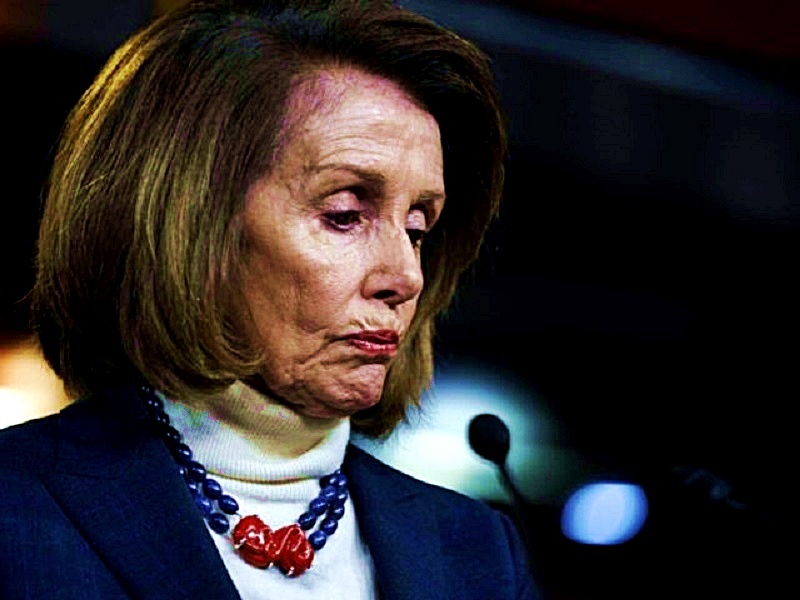 The resulting standoff between President Trump and Speaker Nancy Pelosi and their respective supporters has allowed the harsh reality to come home, that the Democratic Party really has become the anti-American Party of Brown Ascendancy; and, the Democrats, such as Pelosi and Senator Chuck Schumer, place more value on their own power and their by and large white-hating communist, socialist, and fascist allies from South and Central America and North Africa and the Middle East, than they do on America’s own citizens. And certainly no one, other than the radical socialists and the Democratic Party (One in the same? ), would want any more Muslims and their backward, violent and evil Islamic ideology from the Middle East, since they simply don’t fit well at all in a modern Western country. Everywhere Muslim migration has been high, we see terrorist barriers, armed patrols and absurd security measures. In fact, most Americans, the average citizen on the street, would go along with deporting all Muslims. Our efforts to reform and assimilate Muslims has not worked and they can never work. U.S. policy toward all Muslim majority nations should always first be containment. Similarly, sub-Saharan Africans are a no-go. America has a long history of trying to integrate Africans into a European country. It does not work. It does not make any sense to bring a new population of immigrants into America, especially when they have a reluctance to assimilate and a natural hostility towards Europeans. Again, no one is walking around wondering how affairs are in Chad. That and American blacks don’t like African migrants [Blog Editor: Of possible interest – African immigrant perception (from Sierra Leone), Academic themed perception & another Academic themed perception (pdf download & web cache). 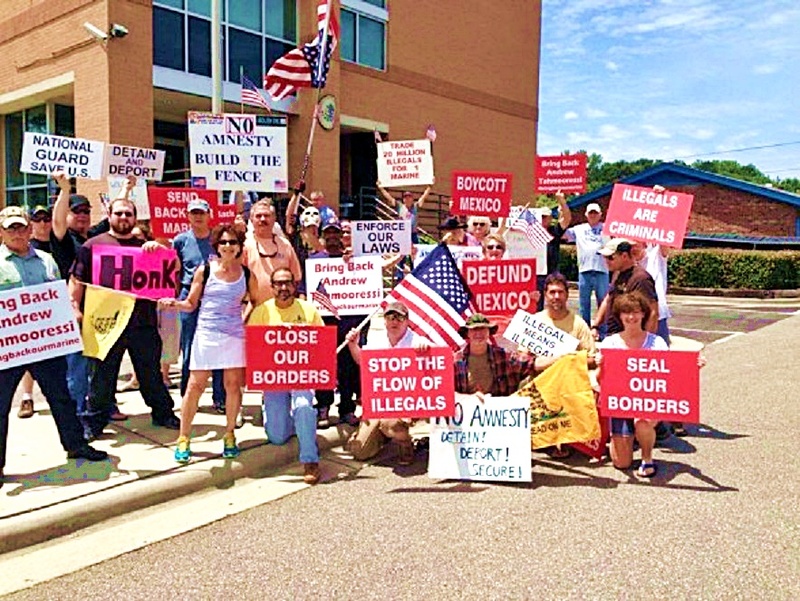 So now America has upwards of approximately 22 million or more (no one really knows) illegal aliens in the country, who are influencing the vote and elected positions and laws, who have no idea what this nation was founded upon, working with a limited and or flawed understanding of Judeo-Christian and Western principles and often refusing to assimilate. This has changed our country as much as if we had been conquered by an enemy nation, but because it has happened slowly, even those who see the changes often don’t know how to explain them. And, abandoning assimilation of immigrants guarantees the eradication of essential values and customs that created America to be the envy of all other nations. Until the American people, on the whole, are made to understand the real threat of socialism and communism to their freedoms and liberties, in the public discourse and dichotomy, our nation is on course for a miserable future. We either win this debate, or we prepare for an all-out civil war to rid the nation of the Reds — the Communists and the Socialists. 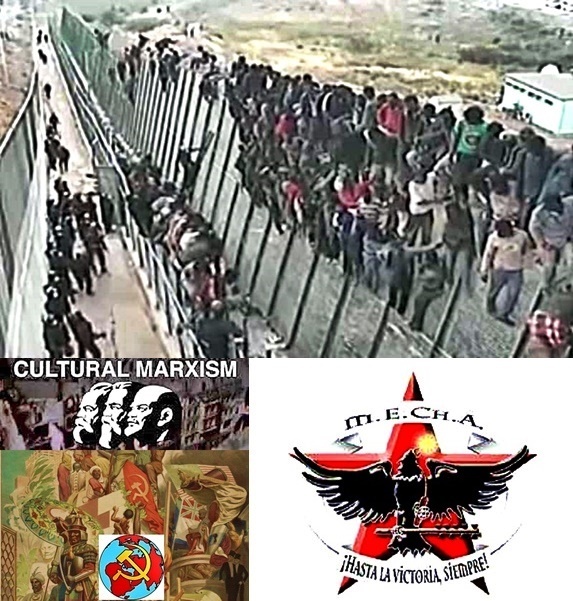 the multiculturalists and diversity crowd — and their white hating allies from South and Central America and various African nations, who are bent on open borders and globalist policies and the destruction of Our national sovereignty and Constitutional Republic, our traditional American way of life. Source links, text and commentary enclosed by brackets are by the Editor. President Trump put the brakes on Speaker Pelosi’s intention to use taxpayer money to finance a Dem Party political junket to Brussels, Egypt and Afghanistan. This news went viral on Conservative Social Media yesterday. 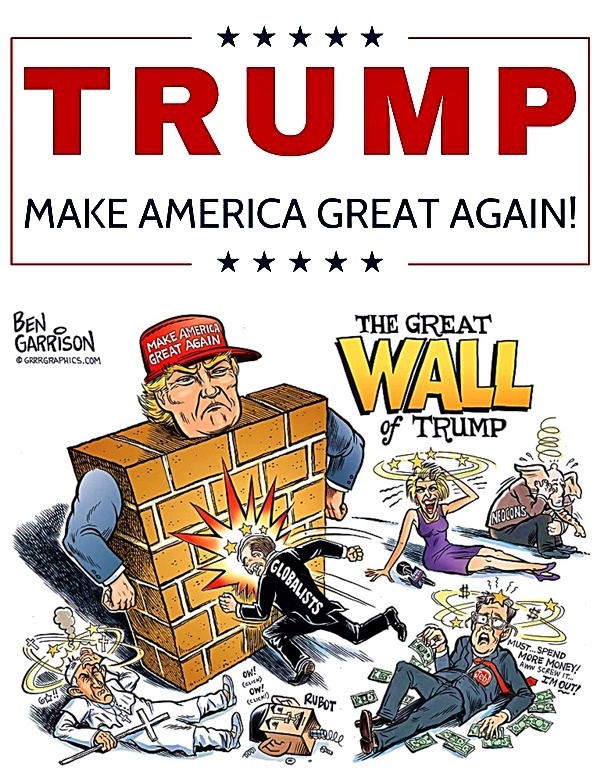 The President’s stated reasoning was because Pelosi and Dems refuse to negotiate a political settlement to the government shutdown and funding the border security Wall. Most realize the probable true reason was because Pelosi tried to silence President Trump from using the State of the Union (SOTU) Address to influence Americans about Dem Obstructionism. Pelosi – typical of a Democratic Party operative – LIED about security concerns for the SOTU due to the lack of government shutdown funding. Homeland Security Secretary Kirstjen Nielsen and the Secret Service repudiated Speaker Pelosi’s security funding propaganda. GOOD FOR TRUMP! If Pelosi is so concerned about government funding she and her MSM propaganda tools should not complain about President preventing a Dem Party foreign junket on government funds not available due the shutdown. You has anyone noticed the Mainstream Media and Dems cry no election fraud exists in Florida, the truth is in the math. When will the GOP start asking law enforcement to arrest the obvious law breakers?! My suspension elsewhere in the USA (e.g. Georgia, Arizona & New Mexico) where elections are close, mysterious ballots are appearing that when compared to the math of legal registered voters, obvious election fraud is there as well. Below is that truth from Tony Elliott. 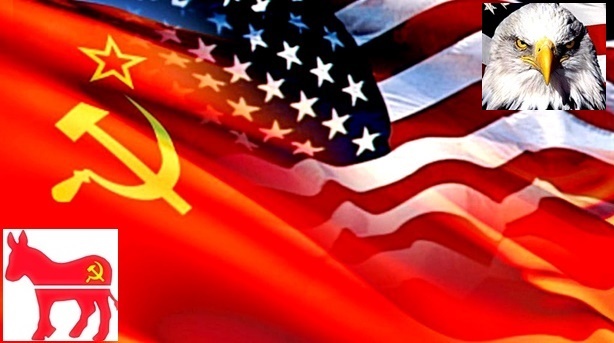 Bottom line, it is not Russians or any other international entities that are illegally influencing USA elections, it is entirely coming from Socialist insurgents living right here in our country. To most people, when they hear the news that these counties are finding thousands of uncounted votes after the election is over, they think a recount is in order, nothing else because most simply cannot accept the thought that their government could be so corrupt as to fix an election. Since no one really pays close attention to numbers, important facts escape most of us. However, when the numbers involved in these two counties are examined closely, one clearly sees that they just do not add up. Take the total number of registered voters in Miami-Dade County, officially at 1,433,668. Then add up the total number of people who voted for Rick Scott and Bill Nelson which is 801,209 votes between them, subtract the Scott/Nelson 801,209 from the total number of registered voters of 1,433, 668 for a sum of 632,459. In Palm Beach County, there are 928,696 registered voters, Rick Scott received 244,776 votes, Bill Nelson 343,780 votes for a total of 588,556. Subtract their total from the 928,696 total registered voters for the sum of 340,140. Broward County has 1,167,982 registered voters, officially Rick Scott received 211,119 votes, Bill Nelson 471,334 votes for a total of 982,453 total votes between them. Deduct their total from the total number of registered voters for the sum of 185,529. Between Miami-Dade, Palm Beach, and Broward counties there is a sum of 1,158,128 voters who did not vote for Scott or Nelson, 2,318,218 who did, for a grand total of 3,476, 346 voters between these counties. Now count the votes for other candidates, not Scott or Nelson, Miami-Dade 8,492, Palm Beach 4,294, Broward 5,008 for a total of 17,794. Add the other votes of 17,794 to the 150,000 estimated votes not counted on election night for a sum of 167,794, add this to the total number of votes cast for Scott and Nelson for a sum of 2,486,012 votes altogether. Taking into consideration that the absolute highest voter turnout ever in these counties was at about 80% in general elections we can go high this time around and say there was a 60% turnout in this midterm election leaving some 1,390,539 total people who actually voted. The only problem here is we end up having 2,486,012 people these 3 counties claim voted, out of roughly 1,390,539 who could have possibly voted, given the highest percentage rate of turnout. What we have here are some 1,095,473 votes that in reality do not exist. 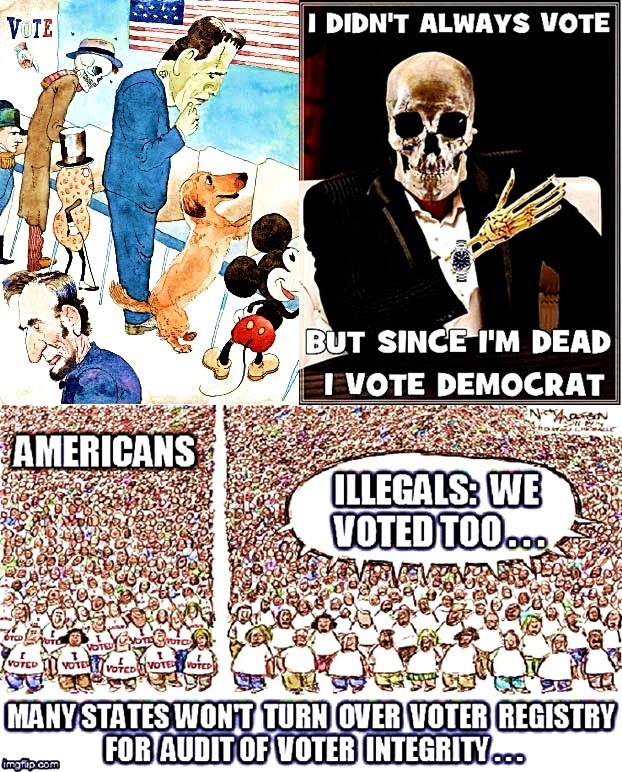 The 1,095,473 ghost ballots, in reality, belong to dead Democrats, illegal aliens, individuals who vote multiple times, and the finagling of electronic ballots themselves. This type of fraud in these counties as seen with Scott and Nelson is also being used in all other contests statewide, including the race for governor. This kind of fraud is what is expected when billions of dollars are pouring into the Democrat effort to win elections. George Soros, Tom Steyer, and Michael Bloomberg are the big 3 financial donors involved in the quest to transform the country into a Socialist Banana Republic. Their sphere of financial influence is what is happening in Arizona, Georgia, and a few other states where the initial outcome of votes on election night are still being counted in tight races.